Added on April 23, 2013 by Phoenix Lindsey-Hall. I am excited to share that two of my pieces, Bat Bone and Slab and Plunge, have been accepted in the 63rd Annual Art of the Northeast Exhibit at Silvermine Arts Center. 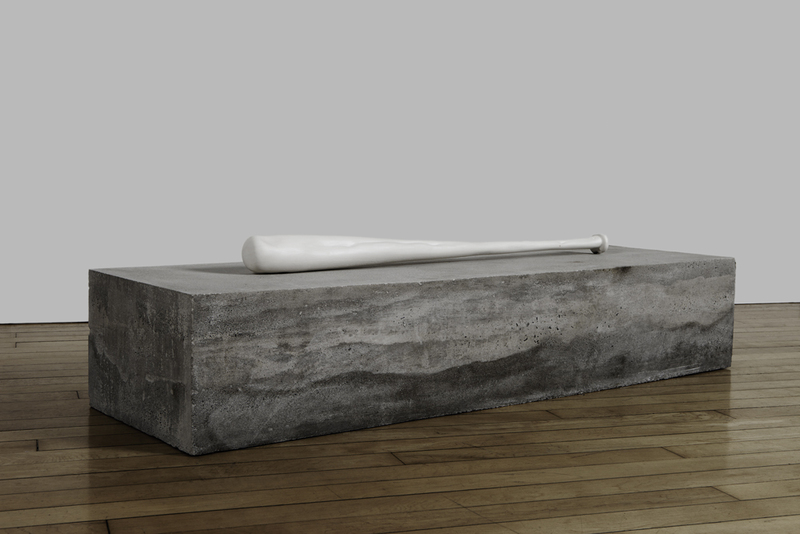 Additionally, Bat Bone and Slab, pictured above, has recieved the Carole Eisner Award for Sculpture. It is an honor to have my work selected for this prestigious recognition. The Silvermine Galleries are recognized as one of New England’s most respected showcases for established and emerging artists. Art of the Northeast is a competition and exhibition that highlights the diversity of work that is currently being made in the Northeast by emerging and established artists. This year its curator is David A. Ross, Chair of the School of Visual Arts MFA Program. To see the full list of artists click here. The opening was Saturday, April 13th from 6pm-9pm, 1037 Silvermine Road, New Canaan, CT 06840. However, the show will be on view through May 24th.